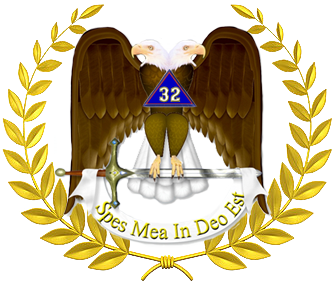 The Knight of the Double Eagle is an award to recognize efforts in growing and supporting the Des Moines Valley of the Ancient and Accepted Scottish Rite. It is available for any member of the Valley, regardless of age, length of membership, other honors, or offices held. 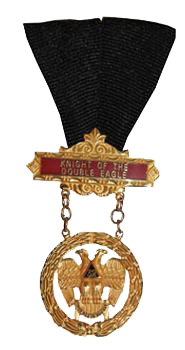 Upon successful completion, the recipient shall receive a certificate recognizing him as a Knight of the Double Eagle, a Knight of the Double Eagle jewel to be worn along with his Scottish Rite cap, his name listed on the Valley website, and his name upon a Knight of the Double Eagle plaque in the Des Moines Valley library.